Both Naked Lunch and Crash have been highly recommended to me and ones that have been on the cards of me watching them eventually for quite some time now. 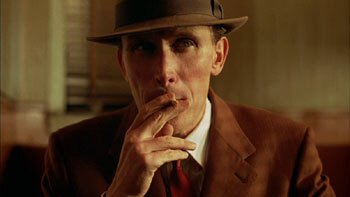 I think Cronenberg would be the most likely person to hit the nail with Burroughs writing, that's for sure. Nice reviews of both the films. Reminded me why I wanted to see them so much in the first place. Thanks for the follow by the way! I am assuming you came to Feminising Film via Stevee, so I shall continue to be thanking her too. Repaying the follow, and looking forward to checking out more of your stuff man, it seems pretty good to me! Thanks for reading and for the return follow. Yes, I found Feminising Film via Stevee. You're a pretty frequent commenter on her blog, and saw that yours had drawn some attention. 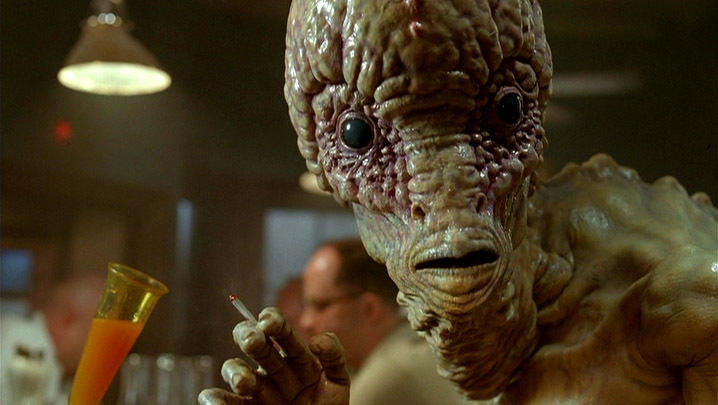 Both Naked Lunch and Crash aren't easy viewings, especially the latter, but they are iconic films, not only in the career of Cronenberg, but cinema of the 90's. I have been working through his films and I think these rank amongst his best so far (along with The Fly). I haven't read any of Burrough's writing, but if there is anyone that can transform the surreal and incomprehensible into engaging cinema, it is Cronenberg. Hope you enjoy them when you get around to watching them. It is a real switch-up of Cronenberg's career as he was very set in the horror/surrealism elements, but that became quite grounded within thrillish films. I like uneasy viewings. The only thing I can't handle when watching a film is animal cruelty, really. That's when I kind of draw the line. Even though I slide more to liking the surrealism/horror side of Cronenberg, at least he tries new things, which is commendable. Really looking forward to Dangerous Methods, though. Top-notch cast and the stills look great. I think "difficult" is a good word for these films. While I haven't seen Crash yet, Naked Lunch was too tough for me to swallow. The strange thing is, while I didn't like the movie at all, it did pique my interest in his other films. I think that's one of the reasons I like Cronenberg; when I dislike his stuff, it's still ambitious enough to make me wonder if his next film will be better. 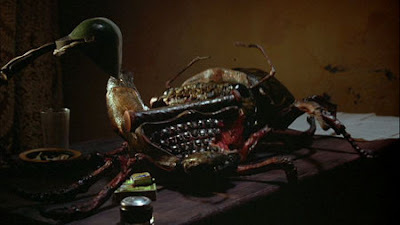 Naked Lunch is easily my least favorite Cronenberg film; although the effects are great and his ability to transport us so convincingly into the mind of Burroughs is uncanny, the film feels cold. I think fans of Burroughs' work will best appreciate it. I didn't like the book, either, so I wasn't expecting much from the film. Crash, however, is beyond creepy. It's like a bug that gets under your skin. @sirbriang2 - I was really intrigued by Naked Lunch, and I had this strange urge to watch it again straight away. It was one of the weirdest films I had ever seen. I had already seen a few of Cronenberg's films earlier in the month, so I was on a roll. The only one I really disliked was Dead Ringers. Crash is a tough one. Not that it is hard to follow, it is just unsettling. It is also one of his best films IMO. @gregcwik - I haven't read the book, nor am I a fan of Burroughs, though I agree it would appeal more to viewers with this knowledge. I was really absorbed into the film; I can't really explain why. It was just so odd. Crash is a film I don't think I will see again. While Cronenberg has made some 'fucked up' films, nothing I have seen tops Crash. I couldn't help but admire the man, though. Few directors could have turned a premise like that into a film that is not only scarring, but a genuinely fine film. Thanks for the comments guys. Appreciate it!